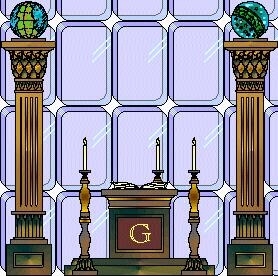 Welcome to the website of Monitor Lodge #197 Ancient Free and Accepted Masons. Our lodge has a long and colorful history and traces its records and traditions to the era of the American Civil War in Hampton Roads, Virginia. It takes as its namesake the Union ironclad warship USS Monitor. The famous battle that rendered wooden warships obsolete was fought in Hampton Roads in March of 1862 not far from where the lodge is located. Numerous Freemasons took part in the battle. Stated Communication on the 1st Tuesday of each month at 7:00 pm. Ritual practice at 7:00 pm each Monday except the 3rd at Monitor Lodge, fellowship starts at 6:00 pm. This is the official Website of Monitor Lodge No. 197 of Ancient Free and Accepted Masons in the Commonwealth of Virginia. The information on this website is provided as a public service only and should not be used for commercial purposes. Unless otherwise explicitly stated, the material on the website is provided “as is” and without warranty of any kind. All expressed or implied conditions, representations, and warranties, including any implied warranty of merchantability, fitness for a particular purpose, or non-infringement, are disclaimed. While it is our goal to keep this website accurate and current, no representations, warranties, guarantees as to the quality, suitability, accuracy or completeness of any of the materials contained on this website are made. If you have comments to help us improve this website, please contact our webmaster at his email: savellj@cox.net Thank you for your support and please enjoy your visit to our website.